Feature Finish: 1. Terry McCarl; 2. Sam Hafertepe Jr.; 3. Dylan Westbrook; 4. Aaron Reutzel; 5. Wayne Johnson; 6. Jamie Ball; 7. Danny Jennings; 8. Joe Wood Jr.; 9. Jeremy Campbell; 10. Jake Greider; 11. Brandon Hanks; 12. Jeff Stasa; 13. Harli White; 14. John Carney; 15. Danny Wood; 16. Nick Howard; 17. Don Droud Jr.; 18. Tucker Doughty; 19. Blake Hahn; 20. Seth Bergman; 21. Tyler Knight; 22. Matt Covington. Feature Finish, 25 Laps: 1. Chad Boespflug; 2. Jason McDougal; 3. Justin Grant; 4. Dave Darland; 5. Jarett Andretti; 6. Clinton Boyles; 7. Kevin Thomas Jr.; 8. Brady Bacon; 9. Thomas Meseraull; 10. Cole Ketcham; 11. Colten Cottle; 12. Matt Westfall; 13. Travis Hery; 14. Brian VanMeveren; 15. Rob Caho Jr.; 16. Aaron Farney; 17. Koby Barksdale; 18. Dustin Smith; 19. Matt Goodnight; 20. Dave Gross; 21. Bryar Schroeter; 22. Andrew Prather; 23. Parker Frederickson. Feature Finish, 30 Laps: 1. Brad Sweet; 2. Ian Madsen; 3. David Gravel; 4. Donny Schatz; 5. Brian Brown; 6. Brent Marks; 7. Daryn Pittman; 8. Logan Schuchart; 9. Sheldon Haudenschild; 10. Shane Stewart; 11. Mark Dobmeier; 12. Rico Abreu; 13. Hunter Schuerenberg; 14. Carson Macedo; 15. Chad Kemenah; 16. Kraig Kinser; 17. Mason Daniel; 18. Robbie Price; 19. Jacob Allen; 20. Jason Sides; 21. Gravy Fairfield. ATTICA RACEWAY PARK, OCEAN SPEEDWAY, SILVER DOLLAR SPEEDWAY, WILLIAMS GROVE SPEEDWAY: Rain. 410 Sprint Feature Finish, 30 Laps: 1. Cale Conley; 2. Chris Andrews; 3. Buddy Kofoid; 4. Travis Philo; 5. Cap Henry; 6. Shawn Dancer; 7. Broc Martin; 8. Spencer Bayston; 9. Stuart Brubaker; 10. T.J. Michael; 11. Dale Blaney; 12. Ryan Ruhl; 13. Nate Dussel; 14. Jess Stiger; 15. D.J. Foos; 16. Jordan Ryan; 17. Kelsey Ivy; 18. Mitch Harble; 19. Max Stambaugh; 20. Caleb Griffith. 305 Sprint Feature Finish, 20 Laps: 1. Kyle Peters; Jamie Miller; 3. Paul Weaver; 4. Brandon Moore; 5. Shawn Valenti; 6. John Ivy; 7. Seth Schneider; 8. Kyle Capodice; 9. Mike Burkin; 10. Jason Keckler; 11. Luke Griffith; 12. Tyler Street; 13. Jeremy Dahms; 14. Zeth Sabo; 15. Bobby Clark; 16. Kevin Mingus; 17. Matt Lucius; 18. Justin Clark; 19. Justin Adams; 20. Tad Peck. Feature Finish, 25 Laps: 1. Justin Peck; 2. Joey Saldana; 3. Lee Jacobs; 4. Brandon Wimmer; 5. Ricky Peterson; 6. Cole Duncan; 7. Jack Sodeman; 8. Trevor Baker; 9. Ronnie Blair; 10. Jake Hesson; 11. Jordan Harble; 12. Ryan Myers; 13. Jimmy Stinson; 14. Cody Bova; 15. Caleb Helms; 16. Chad Boespflug; 17. Kory Crabtree; 18. Bryan Knuckles; 19. Ayrton Olsen; 20. Adam Strauser. Feature Finish, 25 Laps: 1. Carson Short; 2. Austin McCarl; 3. 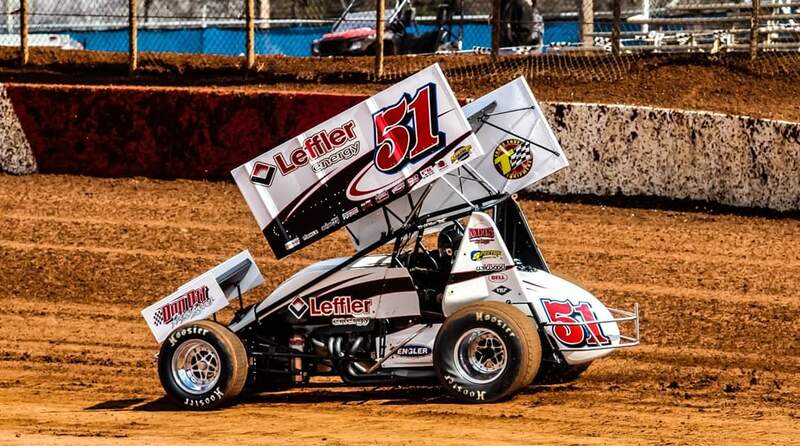 Brooke Tatnell; 4. Jake Blackhurst; 5. Ben Schmidt; 6. Joey Moughan; 7. Bill Balog; 8. Paul Nienhiser; 9. Mike Reinke; 10. Lynton Jeffery; 11. Parker Price-Miller; 12. Scotty Thiel; 13. Chris Martin; 14. Brayden Fox; 15. Kris Spitz; 16. Joe B. Miller; 17. Robbie Standridge; 18. Craig Dollansky; 19. Russel Borland; 20. Jeremy Schultz; 21. Josh Schneiderman; 22. Scotty Neitzel; 23. Steve Meyer; 24. Tanner Gebhardt. Feature Finish, 30 Laps: 1. Dominic Scelzi; 2. Shane Golobic; 3. Chase Johnson; 4. Ryan Bernal; 5. D.J. Netto; 6. Giovanni Scelzi; 7. Bud Kaeding; 8. Kyle Offill; 9. Geoff Ensign; 10. Scott Parker; 11. Sean Watts; 12. Jase Vanderweerd; 13. Willie Croft; 14. Landon Hurst; 15. Nathan Rolfe; 16. Mark Barroso; 17. Jeremy Chisum; 18. Tim Estenson; 19. Kenny Allen; 20. Mitchell Faccinto; 21. Jj Ringo; 22. Jenna Frazier; 23. Stephen Imgraham. Feature Finish, 25 Laps: 1. Justin Grant; 2. Thomas Meseraull; 3. Jason McDougal; 4. C.J. Leary; 5. Dave Darland; 6. Scott Weir; 7. Aaron Farney; 8. Travis Hery; 9. Matt Westfall; 10. Clinton Boyles; 11. Andrew Prather; 12. Dustin Smith; 13. Corey Smith; 14. Cole Ketcham; 15. Rob Caho Jr.; 16. Kevin Thomas Jr.; 17. Matt Goodnight; 18. Parker Frederickson; 19. David Hair; 20. Brian VanMeveren; 21. Bryar Schroeter. 410 Sprint Feature Finish, 25 Laps: 1. Freddie Rahmer; 2. Brian Montieth; 3. Alan Krimes; 4. Dan Shetler; 5. Tim Glatfelter; 6. Chad Trout; 7. Kyle Moody; 8.Brandon Rahmer; 9. Steve Owings; 10. Trey Hivner; 11. Glenndon Forsythe; 12. Jordan Givler; 13. Colton Young; 14. Jimmy Siegel; 15. Brett Michalski; 16. Rodney Westhafer; 17. Landon Myers; 18. Tyler Esh; 19. Adam Wilt; 20. T.J. DeHaven; 21. Chase Dietz; 22. Scott Fisher. 358 Sprint Feature Finish, 20 Laps: 1. Troy Wagaman; 2. Wyatt Hinkle; 3. Jeff Halligan; 4. Doug Hammaker; 5. Tyler Walton; 6. Tyler Ross; 7. Dalton Dietrich; 8. Kyle Denmyer; 9. Alyson Dietz; 10. Dylan Norris; 11. Ashley Cappetta; 12. Matt Findlay; 13. David Holbrook; 14. C.J. Tracy; 15. Jake Galloway; 16. Cody Fletcher; 17. D.J. Montgomery; 18. Travis Scott; 19. Mark Vanhorst; 20. Austin Treuchet; 21. Kenny Kuhn; 22. Nick Palmerino; 23. Zachary Allman; 24. Davey Brown. Feature Finish: 1. Michael Ing; 2. Colby Wiesz; 3. Brent Bjork; 4. Jake Haulot; 5. Mike Monahan; 6. Korey Lovell; 7. John Clark; 8. Eli Deshaies; 9. Justin Henry; 10. Jimmy Steward; 11. Pat Harvey Jr.; 12. Kevin Lovell. Feature Finish, 25 Laps: 1. Justyn Cox; 2. Tony Gualda; 3. Sean Becker; 4. Justin Sanders; 5. Kalib Henry; 6. Andy Forsberg; 7. Colby Copeland; 8. Colby Johnson; 9. Bobby McMahan; 10. Jesse Love; 11. Shane Hopkins; 12. Zane Blanchard; 13. Blake Carrick; 14. Mike Benson; 15. DJ Freitas; 16. Jimmy Trulli; 17. Jodie Robinson; 18. Chris Masters; 19. Shawn McMahan; 20. Justin Johnson. 305 Sprint Feature Finish, 20 Laps: 1. Ken Duke Jr.; 2. Jonathan Jones; 3. Nathan Gramley; 4. Nick Sweigart; 5. Ryan Lynn; 6. Greg Dabrosky; 7. John Scarborough; 8. Zach Newlin; 9. Dave Grube; 10. Cale Reigle; 11. Kyle Ganoe; 12. Drew Ritchey; 13. Robert Garvey; 14. Jaremi Hanson; 15. Jake Waters; 16. Devin Adams; 17. Tim Stallings; 18. Josh Dressler; 19. Scott Lutz; 20. Domenic Melair; 21. Jay Krout; 22. Samantha Lieberman; 23. Scott Ellerman; 24. Dave Wickham; 25. Michael Wenrick; 26. Doug Dodsen. Feature Finish, 25 Laps: 1. Kyle Reinhardt; 2. Mark Smith; 3. Derek Locke; 4. Jason Shultz; 5. Chad Layton; 6. Colby Womer; 7. Michael Walter II; 8. Adam Carberry; 9. Ryan Kissinger; 10. Jake Hummel; 11. Ryan Linder; 12. Davie Franek; 13. Ryan Stillwaggon; 14. Mallie Shuster; 15. Cody Keller. Feature Finish, 30 Laps: 1. Johnny Bridges; 2. Trey Starks; 3. Dale Howard; 4. Lance Moss; 5. Justin Barger; 6. Eric Riggins Jr.; 7. Danny Smith; 8. Terry Gray; 9. Kyle Amerson; 10. Jake Karklin; 11. Jake McLain; 12. Conner Leoffler; 13. Boonzie Lawson IV; 14. Jeff Willingham; 15. Scott Hunter; 16. Joe Larkin; 17. Tony Agin; 18. Brandon McLain; 19. Jeff Oliver; 20. Jimmy Mabe. Feature Finish, 30 Laps: 1. David Gravel; 2. Brad Sweet; 3. Sheldon Haudenschild; 4. Donny Schatz; 5. Ian Madsen; 6. Daryn Pittman; 7. Jacob Allen; 8. Kraig Kinser; 9. Carson Macedo; 10. Logan Schuchart; 11. Brent Marks; 12. Shane Stewart; 13. Chad Kemenah; 14. Hunter Schuerenberg; 15. Rico Abreu; 16. Jason Sides; 17. Mason Daniel; 18. Mark Dobmeier; 19. Brian Brown; 20. Mike Kuemper; 21. Robbie Price. NCRA SPRINTS (81 Speedway): Postponed. 410 Sprint Car Feature Finish, 30 Laps: 1. Danny Dietrich; 2. Brock Zearfoss; 3. Ryan Smith; 4. Anthony Macri; 5. Cory Eliason; 6. Kyle Moody; 7. Lucas Wolfe; 8. George Hobaugh; 9. Freddie Rahmer; 10. Justin Whittall; 11. Gerard McIntyre Jr.; 12. Tony Fiore; 13. Brett Michalski; 14. Dylan Norris; 15. Dan Shetler; 16. Bryn Gohn; 17. Jordan Givler; 18. Jared Esh; 19. Chase Dietz; 20. Trey Hivner; 21. Glenndon Forsythe; 22. Ryan Linder. DNS: Brian Montieth; Bradley Howard. 358 Sprint Car Feature Finish, 25 Laps: 1. Kevin Nouse; 2. Troy Wagaman Jr.; 3. Jeff Halligan; 4. Kyle Denmyer; 5. Chris Frank; 6. Wyatt Hinkle; 7. Mike Bittinger; 8. Gregg Foster; 9. Cody Fletcher; 10. Dwight Leppo; 11. Steven Kissamore; 12. Alyson Dietz; 13. Troy Rhome; 14. Mark VanVorst; 15. Brett Wanner; 16. Steven Drevicki; 17. Doug Hammaker; 18. Denny Gross. Feature Finish, 30 Laps: 1. Justin Peck; 2. Cap Henry; 3. Cale Conley; 4. Brady Bacon; 5. Max Stambaugh; 6. Spencer Bayston; 7. Cole Duncan; 8. Travis Philo; 9. Greg Wilson; 10. Buddy Kofoid; 11. Dale Blaney; 12. Tyler Gunn; 13. T.J. Michael; 14. Lee Jacobs; 15. Chad Wilson; 16. Mike Terry Jr.; 17. Cody Bova; 18. Adam Cruea; 19. Bradley Ashford; 20. Jake Hesson; 21. Jordan Harble; 22. Joey Saldana.